The home virtual reality market might be a long way from mature, but the two main players on the PC side are firmly established: Facebook-owned Oculus and its Rift headset, and HTC’s Vive platform partnered with Valve. 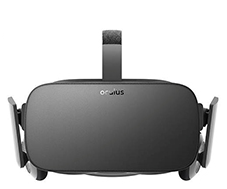 Like gaming consoles, both the Oculus Rift and Vive come with their own set of unique specifications, system requirements, and exclusive games. Which headset you eventually decide on will be influenced by an array of different factors, so it’s important to stay educated on the pros and cons of each system and how they’ll fit your home best. Because of their high resolution displays and accelerated refresh rates, both the Oculus and the Vive will need some serious PC hardware to power their virtual experiences. Both will require at least an Intel Core i5-4590 processor (or equivalent), and an Nvidia GTX 970/AMD Radeon R9 290 GPU just to get up and running. The Oculus requires twice as much RAM as the Vive (8GB or greater), and both need a graphics card capable of supporting HDMI 1.3 out. Lastly, the Vive needs a lone USB 2.0 port to communicate positional data back to the PC, while the Oculus will need two free USB 3.0 slots to do the same. Most modern desktops have at least two USB 3.0 ports, but you might need to run the cable to the back of the machine. Both the Vive and the Oculus use an array of cameras and sensors to detect where you are in the real world, and translate those movements into actions inside the virtual environment. The main difference between each system is how wide of a field of view the sensors have. The Oculus has a maximum tracking field—5×11 feet (width-to-length)—compared to the Vive’s symmetrical maximum field of 15×15 feet. The Rift base stations can only see what you’re doing from a front-on angle, so if you stray outside its narrow field of vision, the detection accuracy of your movement will quickly fall off. Oculus says it has plans to incorporate larger tracking footprints in the future, but users will still have to deal with these limitations for now. The Vive, on the other hand, opens things up a bit, and lets you track a larger space using two “Lighthouse” camera towers. The increased tracking footprint allows you to walk, zig-zag, and dodge between any part of your game space without losing detection, and interact with virtual objects in a truly 360-degree environment. For gamers with a bigger available space to play, the Vive is the clear winner. Both the Vive and Rift utilize their own proprietary set of movement-based controllers that take the place of your hands while you’re inside the virtual environment. The Oculus Touch controllers feature three touch-capacitive buttons and a joystick on each hand, a trigger on the back, and can be tracked anywhere within the camera’s range. Unlike the Vive’s Steam VR wands, the Touch controllers can track your hands with a 360-degree spatial representation of your finger movements. In layman’s terms, this means that if your finger turns one way, the object you’re holding will turn with it. This increases the precision you’ll have while interacting with in-game elements, and help add to the immersion effect overall. The Vive’s Steam VR controllers work a bit differently, in that they only track on a 1:1 basis. If you swing your arm one way, the Lighthouse towers will see it, but using your hands or fingers won’t register as accurately as they would on the Touch. The wand-like controllers have one trigger button, one menu button, and one thumbpad that’s based off the Steam Controller’s trackpad technology, plus two “squeeze” activated buttons on each side. If that doesn’t sound like enough inputs, remember that the Steam trackpad works both for movement and as a configurable button pad, depending on if you hold a command or just quickly tap it instead. That means each quadrant on the touchpad can be set as its own customized button, depending on the game and how the developer chooses to use the controller in an environment. Of course, both VR headests also work with a standard Xbox One or other PC controller. So if you only plan on playing racing games or flight sims, the difference between the two controller types may not matter all that much to you. Similar to the Xbox One and PlayStation 4, the Oculus and Vive share many of their titles, while also maintaining a few system exclusives designed to entice undecided buyers over to their side of the field. At the time of writing, the Oculus Rift offers approximately 110 games in total, while the Vive has a much more impressive 350. But the numbers don’t tell the whole story: the Vive benefits from Valve’s fairly open VR tools and the Steam marketplace, where indie developers of varying skill can post their games with little fanfare. While the Oculus Rift’s selection is technically much smaller than the Vive’s, the former doesn’t include low-effort demos and “minigames” like TrumPiñata. The pure numbers are also less than helpful thanks to the different kind of games available in VR in general. Many games, especially those that focus on vehicular experience like racers or spaceship simulators, are available both on standard desktop PCs and VR headsets. Elite Dangerous, War Thunder, and Project Cars are good examples…and coincidentally, all three of them are available for both the Rift and the Vive. 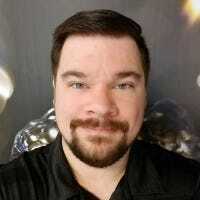 Between the two of them, Facebook seems to be aggressively securing more exclusive Oculus-only titles, while Valve is relying on first-party games like DOTA 2 and Portal Stories: VR and a much wider indie developer selection. 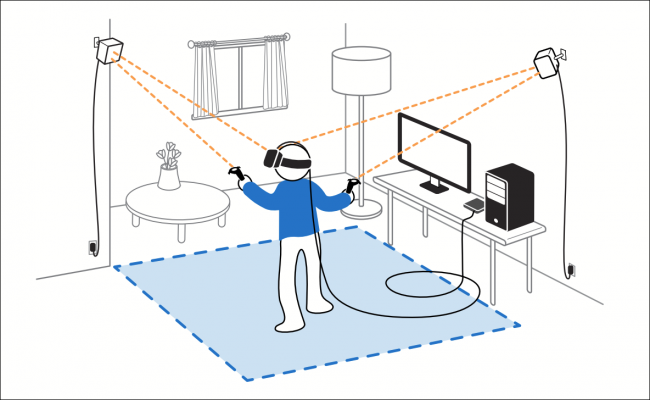 Even on Valve’s Steam platform (where Oculus-compatible games are also sold), third-party VR games only seem to insist on a Vive headset when they require the larger room scale enabled by its sensor setup. After a disappointing initial price of $600, the Oculus Rift can now be purchased bundled with twin touch controllers for only $400. Originally billed as a summer-only promotion, this price has now been extended as a permanent drop. HTC answered the price drop, but couldn’t match it. The Vive originally launched at $800 complete with controllers and trackers, but has now been permanently dropped to $600. 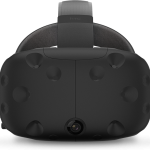 While both companies are working on improving their respective VR technology, there’s no indication that new models of either the Oculus Rift or the HTC Vive will arrive before the end of 2017. However, LG has been showing off a competitor to the Vive that will use the same Steam system for game delivery and VR management. The LG headset has a higher-res screen than the Vive or the Oculus and a much more convenient flip-up design, but there’s no indication of when it will hit the market. If you want the premium, full-room VR experience and have the extra coin to get it, the Vive is likely the better choice, but if you’re trying to save a few shekels, the Rift is a pretty good deal right now. Either way, virtual reality is set to change the way we game and interact with each other in the very near future, and I for one couldn’t be more excited to see where it takes us next.